POS systems	There is 1 product. POS-systems are intended for automation of trading operations in buyer`s retail calculation points for the bought goods and services. 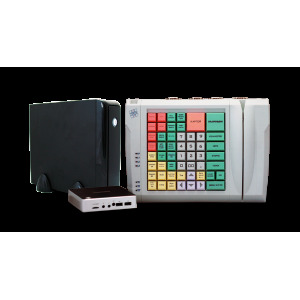 As a rule, the POS-system is created as compact as possible to place it on a small work area of ​​a cashier or waiter, it consists of a system unit (computer), input devices - a special programmable keyboard, touch pad, mouse, etc., barcode scanner, discount cards reader, electronic scales; output devices - printer checks, customer display. 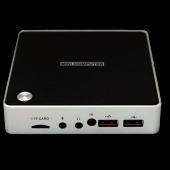 The main element of the POS-system is the system unit. This is a computer with an installed operating system and a sales automation program. Considering the large number of connected peripheral equipment, the system unit must contain a sufficient number of interface ports, and also the issues of convenient and reliable power supply to the periphery should be maximally resolved.